Canadensys Aerospace awarded contract to support latest CSA lunar prototype development | Canadensys Aerospace Corp.
TORONTO, ON / 6 JANUARY 2015 – Canadensys Aerospace has been contracted by New-Hamburg-based Ontario Drive & Gear for the environmental design and test to TRL6 of a lunar rover drivetrain prototype for the Canadian Space Agency. The Lunar Rover Drivetrain Platform Prototype (LRPDP) is the latest in a line of lunar rover prototypes developed for the Canadian Space Agency (CSA), with the emphasis this time on advancement of those design elements required for the locomotion system to operate and survive in the harsh environment known to exist on the lunar surface. Ontario Drive & Gear is the prime contractor for the prototype, having longstanding heritage in the design of 4-wheel skid-steer vehicles, one of the candidate architectures being considered by CSA for future exploration rovers. 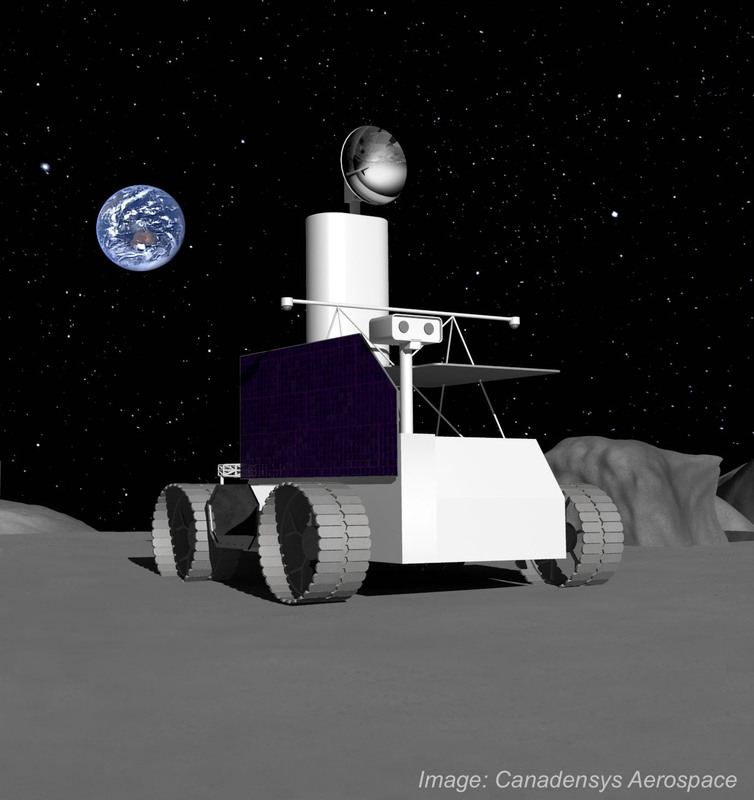 Canadensys is responsible for lunar environmental design, analysis and test aspects of the LRPDP project, including testing in lunar dust and thermal vacuum conditions and ensuring robustness with respect to the deep space radiation environment. For additional information about the Canadian Space Agency and the LRPDP project, click here.